Craft Necessary 5" Running Brief Necessary offers no-nonsense highly functional bottoms for dedicated runners. The garments can be found in a pure, all-black style that never goes out of design and that matches all of your coats, tees and jerseys. Necessary Shorts 5" are made from highly functional fabrics and function mesh panels for enhanced ventilation. In addition, flexible waistband with flat drawstring ensures optimal comfort while elastic inner leggings supply an ideal fit. Zippered back pocket. The Necessary 5" Running Brief from Craft is made from a material mix which is ultra-lightweight, assisting to avoid the wearer sensation weighed down as they train. 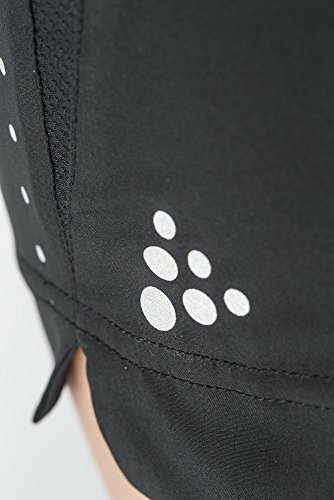 The material is also magnificently fast-drying as it draws excess sweat and moisture far from the skin and moves it to the external material layers where it can be easily vaporized, leaving the wearer sensation cool, dry and comfortable for longer, ideal for high strength exercises. The Stretch Elastic in the material permits the garment to move with the body and allow for optimal freedom of movement rather of causing constraints and discomfort. The internal draw-cord that has been suited the waistband permits the wearer to easily adjust the fit, leaving the wearer comfortable with their personalised fit. A Stretchy Inner Tight has been included in the shorts building and construction which assists with breathability and comfort. A Zippered Pocket has been added to the back of the waistband, offering much needed storage space for necessary products that the wearer might need whilst training.